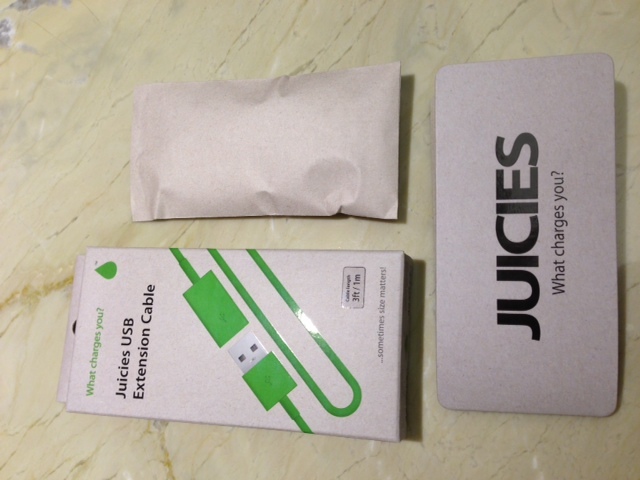 It’s been a long journey for the Kickstarter-powered Juicies project. 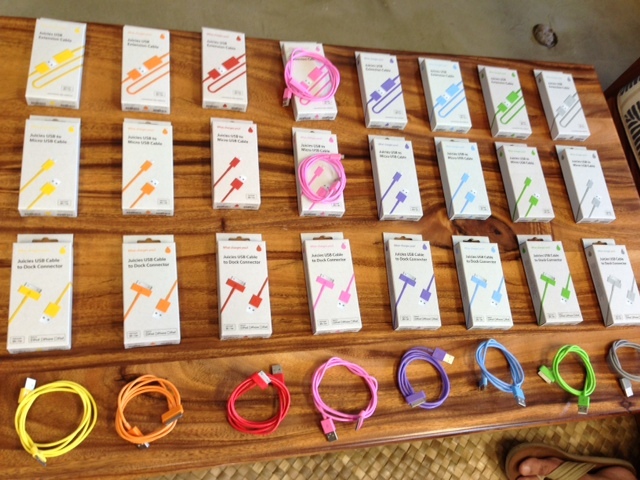 Started in 2011, Juicies goal was to bring colorful cables made out of recycled materials to the iPhone market. The colors were delicious, the price was right, and hey, Laurens from Hawaii was behind it all so why not back this project? Then there was a string of manufacturing delays that Laurens explained in detail. Then Apple moved from the de facto 30-pin dock connector to Lightning. 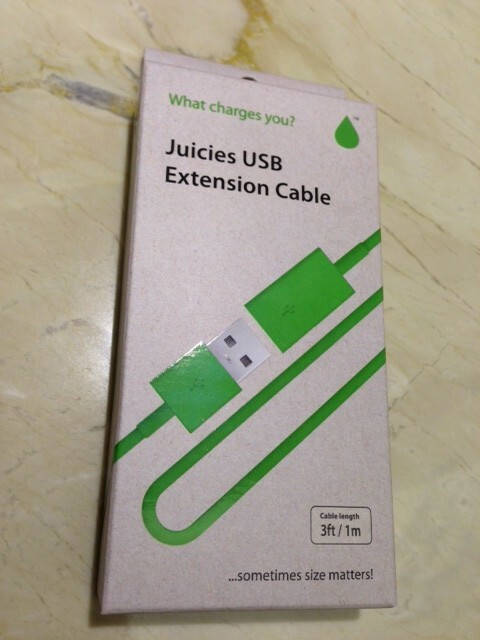 Juicies persevered with production and allowed backers to change cable types to a USB extension or a micro USB cable. After a long wait, here are the results. The box design deserves some attention and credit as well. No fuss, no muss but good looking. What’s in the box is minimal and looks made out of recycled materials as well. 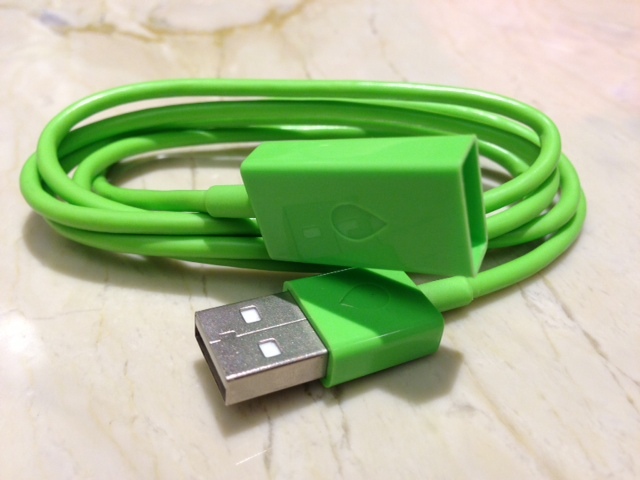 At long last, my Juicies cable in lime green. It was either green or orange, but I thought the green was more vibrant. Actually, the pink and purple colors had a good sheen on them as well. Thanks Laurens! Oh yeah, he may have extra cables to purchase for the holidays.